You are perfectly okay if you are not a fan of using a swimming cap. It is totally fine, but making some pool hairstyles for swimming can turn out to be a disaster waiting to happen. Most times, we cannot wholly protect our hair from the harsh chlorine with some pool hairstyles. But do not worry, we have taken the trouble to find the 5 Best hairstyles for swimming. So anytime you elect to dive underwater, these selected pool hairstyles will make your hair tangle-free and not disturb while doing the actual thing! If you are planning to maintain a dry hair and preserving your head above water, picking out of the 5 Best hairstyles for swimming listed below would perfect for the job. These pool hairstyles will undoubtedly safeguard your hair from becoming wet! So, remain charming in or by the pool with these amazing hairstyles for swimming. 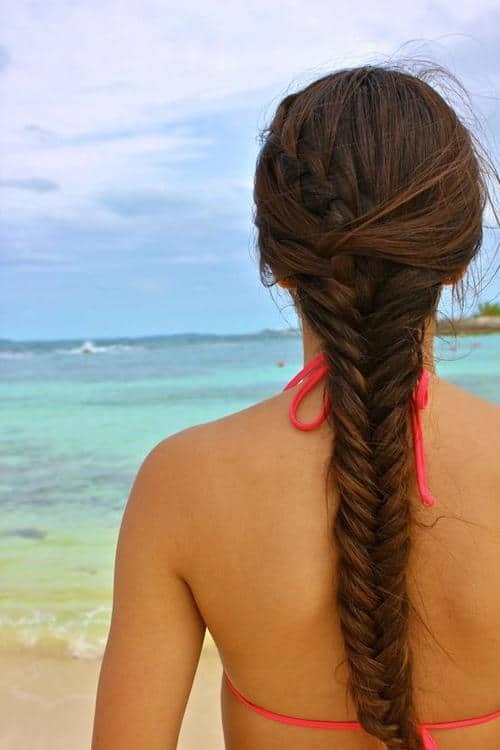 Amongst the best pool hairstyles is the fishtail braid. Although it may appear to be intimidating, do not worry much, it is easy to make! You are more likely to seek the assistance of help of someone more acquainted with the style to help in making it. The fishtail braid is unique. There are also various styles available for this swimming hairstyles. As part of the selected pool hairstyles, the French braid possesses a tougher touch, regarding making, than the normal twist. It is more likely to entail some practice taking in getting to know how it works. That is if you do not already know the process behind making French braid. The French braid, one of the best hairstyles for swimming, is pretty simple to make yet classy and it is always super cute! The scarf braid is a modest pin-up inspired style of braid. These hairstyles during swimming allow you to drape a scarf around your neck to ensure even lengths on both sides. 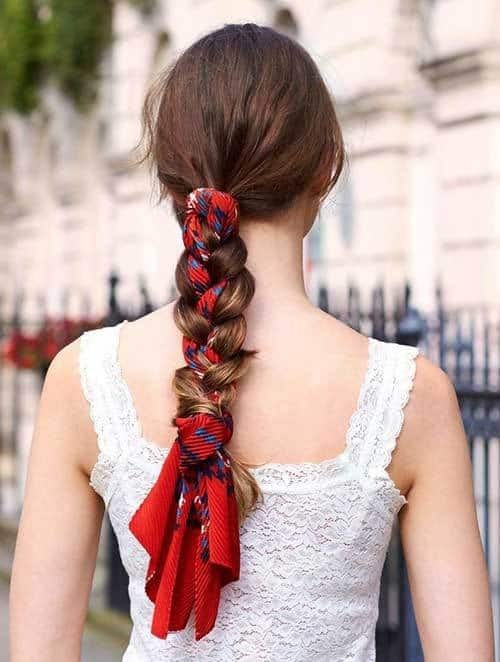 The scarf braid entails parting your hair evenly in the back, taking each half back to the front. The scarf braid also involves braiding both sides and join them in the middle with ends of the scarf. The top knot presents a more straightforward approach for pool hairstyles if you are seeking a style that requires less use of your arms or something less complicated than braids. The top knot is classic hairstyles for swimming, majorly because they are comfortable and quick to make. Although, top knot can turn out to be messy during maintenance despite their cuteness! You can choose to wear yours halfway down your hair down or have it all up there, and it is all down to your preference. Stitch braids method can be traced down to Cornrows. Stitch braids are more similar to thick and thin Cornrows. These hairstyles for swimming are made by separating your hair five to seven rows down the head. A minor thin hairline is cut out and weaved alongside a major row. 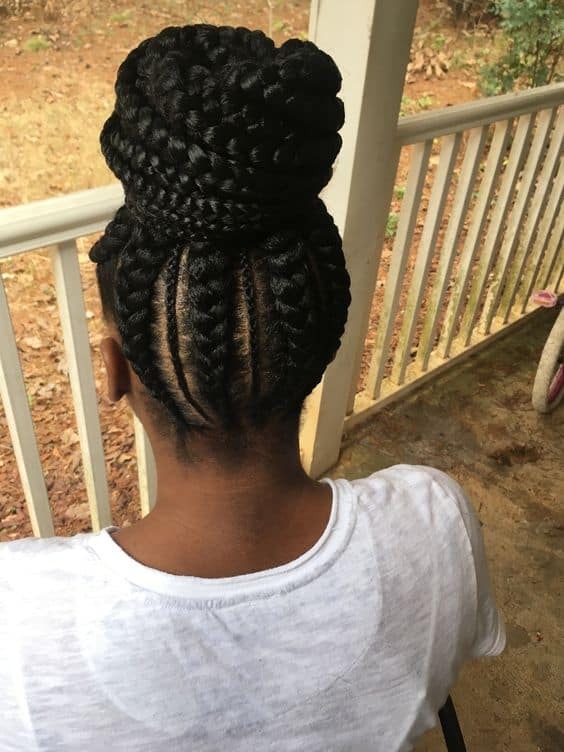 Nevertheless, stitch braids are distinctive with thick hair lines divided and made into hairy razor-straight lines using sophisticated box forms. Picking out the five best hairstyles for swimming came with a lot of considerations. So, the five best hairstyles for a swimming meet a variety of criteria all dependent on what you want from pool hairstyles suitable for swimming. You may require an additional helping hand in making some of the selected styles. So, if you do not know how to make any, we advise you preferably visit your stylist or make inquiry from friends!